PharmOvate-Triangle Process Equipment spoke with Fristam Pumps’ Southeast Regional Manager Craig Zeni to get the lowdown on mechanical seal maintenance. Q: What are some of the maintenance considerations for a pump with mechanical seals? A: Let’s begin with a quick primer on how mechanical seals work, and more importantly, why they fail. When the pump is operating, a very fine film of the liquid product that you are pumping (about 5 microns worth) is pumped between two seal faces. This action keeps the seal faces cool. In absence of liquid, the seal faces rotate against each other and quickly heat up, which causes the seal faces to deteriorate. Signs of deterioration include, but are not limited to, fine cracks, scoring of the faces or pitting. These types of damage will allow liquid to leak out of the pump. Q: If a pump is only leaking a very small amount of fluid, does that mean the pump requires maintenance? A: A “leak” might only be a small drip. But make no mistake, it is a leak, and it is one of the leading signs that the mechanical seals need to be changed. Here’s why it’s important to take even the smallest drip seriously: when the liquid is pumped between the two seal faces to keep them cool, the liquid evaporates. A leak develops when that evaporation rate is simply less than the fluid that is coming across the seal face, which may be a very small amount of fluid, such as a drip. Q: What are some best practices for maintaining good seal life? A: The No. 1 thing? Do not give your seals an opportunity to run dry! Further, in some applications, a flush seal is needed to prevent leaks. For example, in dextrose or sucrose applications, the liquid that is being pumped across the seals to keep them cool evaporates. However, the sugar in the fluid does not evaporate, and it can build up and push the seal faces open to create a leak. A flush seal will rinse the mechanical seals with water to prevent the sugar from separating the mechanical seals. Q: How often should mechanical seals be changed? A: This is really dependent on the application, selection of correct seal face materials, the pump’s performance capabilities, and the preferences of the operating company. For example, many pharmaceutical operations will change their mechanical seals once a year whether they need to be changed or not. And some pumps, if operated correctly, can provide 2-3 years or more of good seal life. 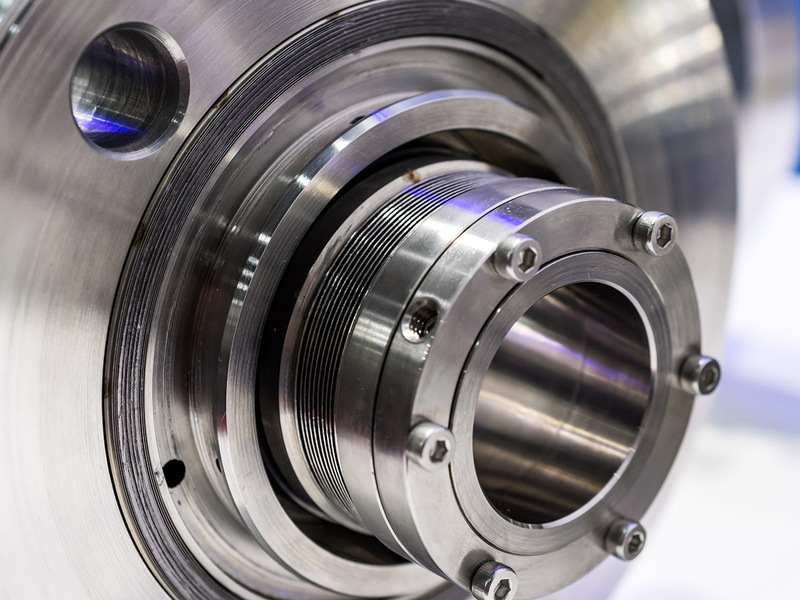 Other companies will choose to purposefully run their mechanical seals to the point of failure to reduce their preventive maintenance expenditures. We recommend you collaborate with a dedicated equipment representative to consult with your pump manufacturer for recommended maintenance intervals.